Titans is a great taproom and bottle shop run as a collaboration between beer importers Beer Cats and AQ Bevolution. Both are major importers in Japan focusing mostly on American craft breweries and the selection of beers and bottles also reflects this. Compared to going all the way to Antenna America in Yokohama, or Antenna America’s food court shop in Shinagawa, I actually prefer Titans because it is closer to where I am and it has harder to find beers. Titans is really close to Otsuka Station but it can be a little difficult to find if you head into the wrong street. It took a little while for me to find at first as they weren’t open but I’m sure that it is pretty easy to find with the music pumping. When you enter, you are greeted with their nice bar and a tap list above the counter. I found it difficult to read the signs quickly and easily but they do have paper tap lists all around so you can peruse at your leisure, but considering I was the only person ordering I felt a little shy and pressured. I’m sure this won’t be the case for most people though. At the front entrance they have a couple coolers Titans a bottle shop at the same time. They do have a bottle charge if you choose to drink the bottles in the shop but from the bottles I saw they have a very interesting collection and it’s probably worth the extra charge if you want to drink it there. They also have seating upstairs but being along, it was difficult to justify going up there. Either way I was happy to be at the bar enjoying my beer. When I went to Titans I was lucky to get the FiftyFifty Brewing Rockslide IPA. It was a really nice IPA that is typical of American IPAs. I was a bit sad to realize that I was there during happy hour and missed out on their gyoza special. AQ Bevolution also sells their own gyozas and for happy hour you can get a beer and gyoza set for about 1,000 yen. It definitely smelt good but considering I had lunch just before going to Titans it might have been a bad idea. Titans is a really cool place and I really want to go back again in the future. The beer selection is really good with a lot of beers that I don’t normally see in the Tokyo area. I also like their selection of bottles but wish they would be a bit cheaper on the bottle fees, although that could be due to tax laws. 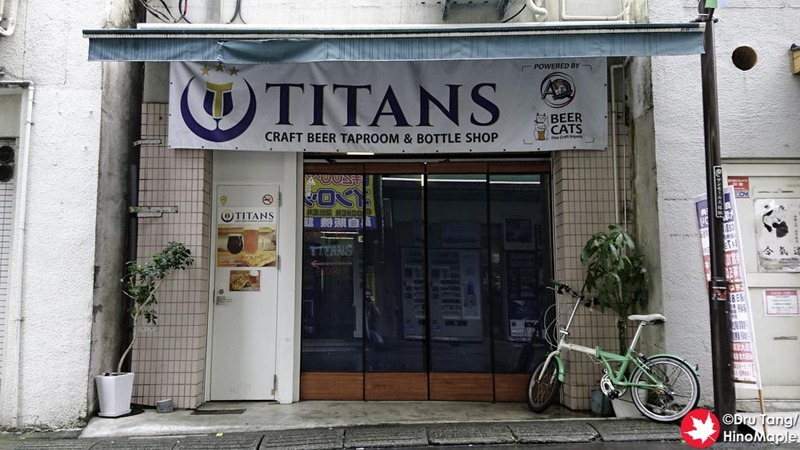 If I am ever in Otsuka again you can be sure that I will be hitting up Titans. 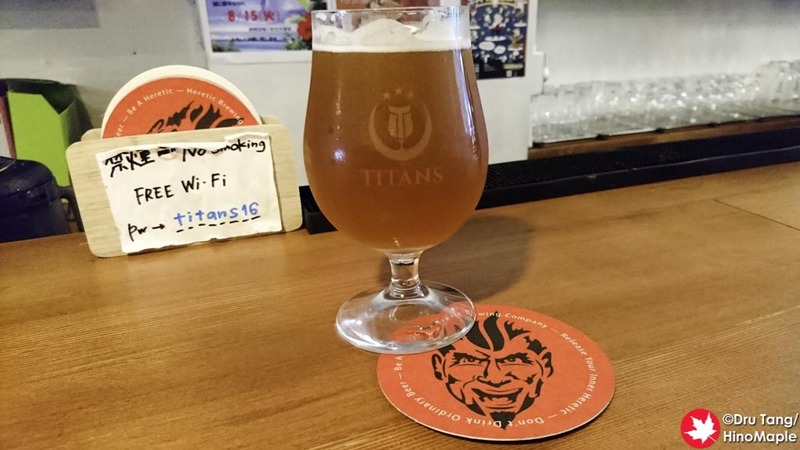 This entry was posted in Tokyo Food and tagged AQ Bevolution, Bar, Beer Cats, craft beer, FiftyFifty Brewery, japan, Otsuka, Titans, tokyo by Dru. Bookmark the permalink.